Within the first few months of Japan entering WWII, the country had spread its influence over the Pacific. It had successfully invaded many of the islands of the area ranging from the Philippines in the south to the Aleutian Islands off the coast of Alaska in the north. In January 1942, the Australian base on the island of Rabaul, part of what is now known as Papua New Guinea, was overrun by the Japanese, who then turned it into a significant base accommodating over 100,000 men. In mid-1943, the Americans launched a serious counter-offensive using both land and sea forces. They attempted to drive the Japanese from some of the islands in the Pacific, thus cutting them off from their supply lines. In isolating these islands, they hoped the Japanese bases would be nullified, and the cost in men and materials to the Allied forces would be minimal. 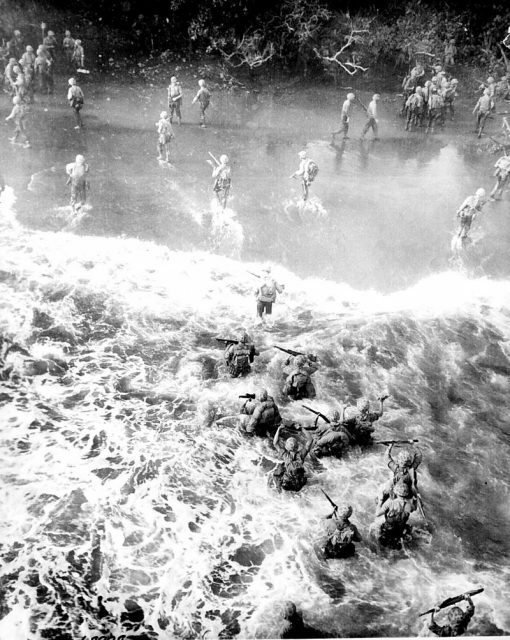 US Marines hit three feet of rough water as they leave their LST to take the beach at Cape Gloucester, New Britain. 26 December 1943. One island that was to be isolated was Rabaul. The plan was that isolating and neutralizing this base would remove the threat from the Bismarck Archipelago (including all of Papua New Guinea) and the Solomon Islands. While this was being accomplished, a second front would attempt to drive through the central Pacific islands, including the Marshall and Gilbert Islands. Operation Cartwheel, finalized in April 1943, was a land- and sea-based attack on Rabaul, with the objective of removing the Japanese from the island by March 1944. The plan called for a coordinated effort by two of the most decorated and famous leaders of American forces during WWII. 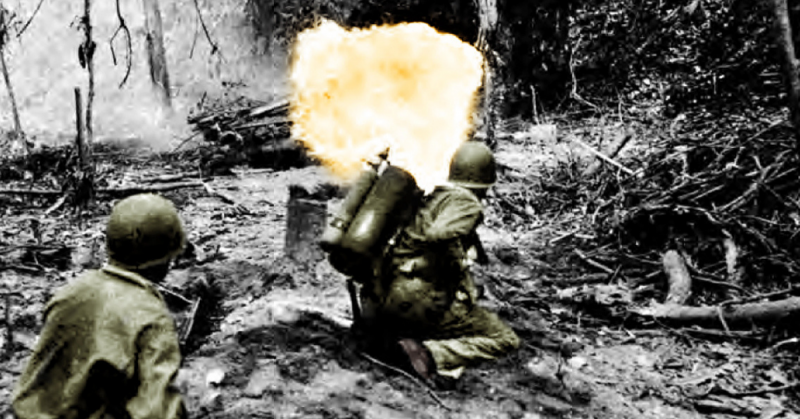 Flame throwers used to break down resistance in Japanese fortifications are shown being used by United States troops in the Southwest Pacific. 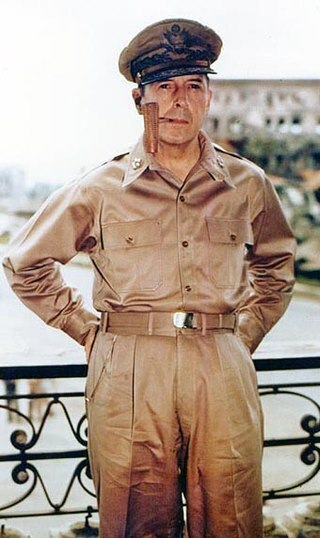 The land-based attack was led by General Douglas MacArthur, and the sea-based offensive was led by Admiral William Halsey. Facing these two military giants was General Hitoshi Imamura, who commanded Japan’s 17th Army based on Rabaul. He was reinforced by the 18th Army, which was also based on Rabaul and given the task of defending northern New Guinea. The land-based forces led by MacArthur were to move through New Guinea and the southern Bismarck Islands while Halsey, with his naval forces, would come in via the Solomons. These two forces would form a pincer movement that would close in on the Japanese base on Rabaul. Operation Cartwheel commenced in June 1943, and by mid-September, the island of Lae was in American hands. The US then moved on to the island of Saidor on the western tip of New Guinea. 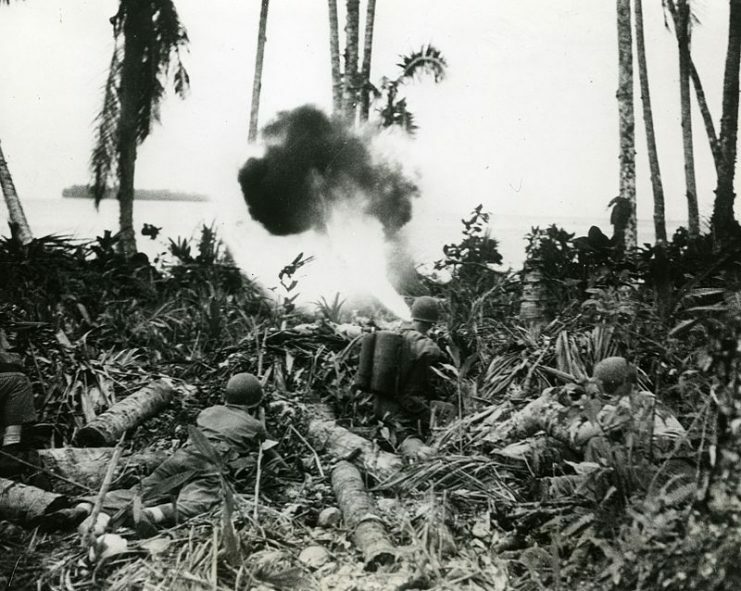 By October 1943, the naval forces under Halsey were ready to attack the west side of the Solomons and take the island of Bougainville, which was a mere 200 miles (322 kilometers) from Rabaul. Imamura had sent around 37,500 men from the 17th Army to reinforce the garrison on Bougainville, and they were based at Buin in the south of the island as well as on many of the tiny islets off the coast of Bougainville. 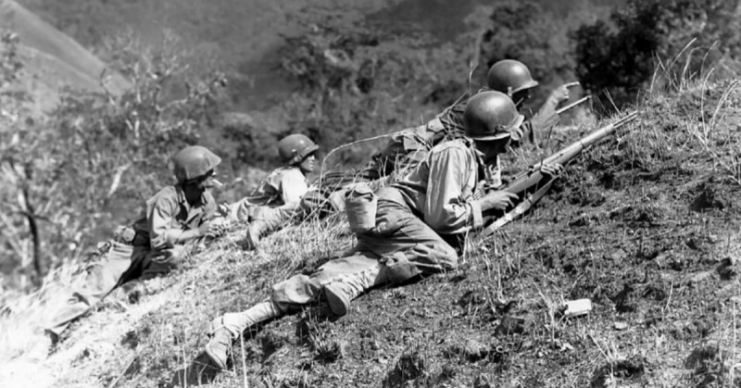 On November 1, 1943, four days after New Zealand forces had overrun the Treasury Islands that lie south of Bougainville, US Marines landed on the north of Bougainville at Empress Augusta Bay. 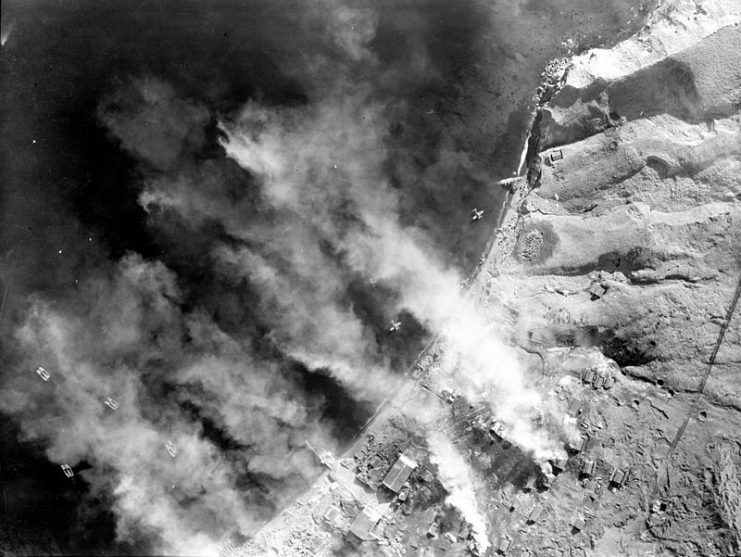 The American Air Force bombed the Japanese positions while the navy sank Japanese warships in the bay. 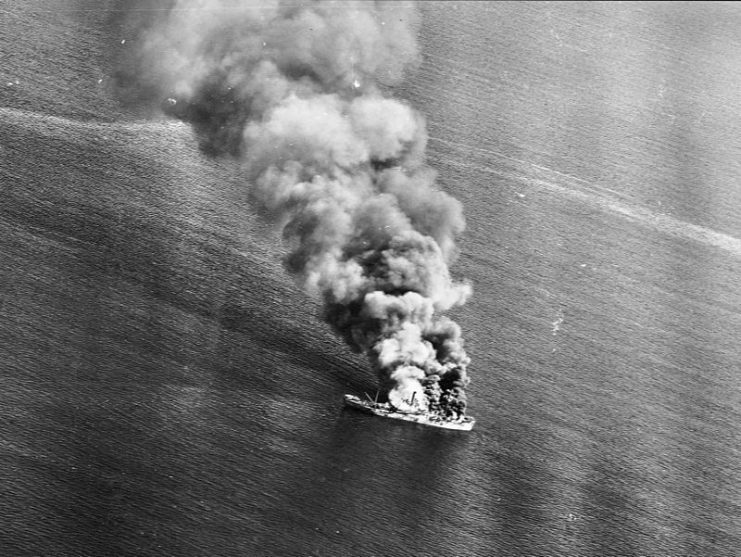 A Japanese cargo ship burns off Luzon, Philippine Islands after being attacked by U.S. carrier planes. This was all in support of American marines who made an amphibious landing. 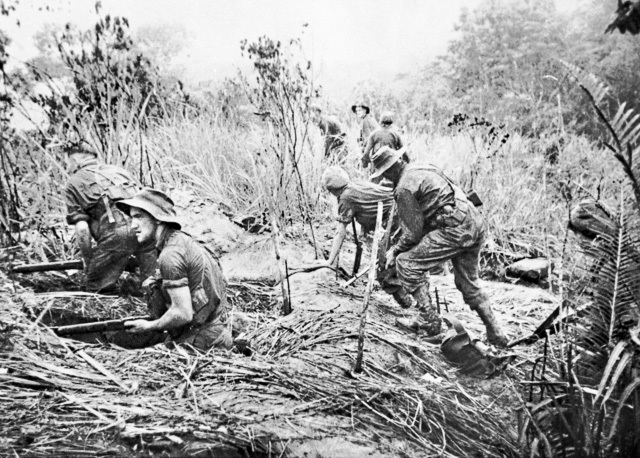 Three weeks later, the Americans had established a beachhead on Bougainville with the 3rd Marine Division and the 37th Army Division dug in. At the same time, Halsey took a huge gamble as he ordered his fleet to attack the powerful Japanese fleet on Rabaul. This was risky as it meant the American aircraft carrier task force was in range of the Japanese air force. Halsey skilfully used the land-based aircraft at his disposal to keep the Japanese planes at bay, which gave the carrier-based American fighters space to launch wave after wave of torpedo and dive-bombers at the Japanese fleet. This forced the Japanese fleet to withdraw to Truk Island, some distance away. While the Japanese fleet was occupied and the Japanese planes kept confined, the Marines began launching their own air-raids against Rabaul. By the 15th December, the Allied forces were ready to land on Arawe, on the southwestern side of Papua New Guinea. This drew the Japanese focus from Cape Gloucester on the northwest coast and allowed for an Allied landing there on 26th December. The Japanese counter-attacked, but by the middle of January 1944, the Allies had captured Cape Gloucester and its vitally important airfield. In mid-February, New Zealand forces took the Green islands that are south-east of New Guinea and late in February the US forces took the Admiralty Islands. By March 20, 1944, the US was holding the Emirau Islands. Each of the Allied holdings was protected with airfields that effectively blocked the Japanese from advancing toward the west. By the end of March 1944, the Allies had encircled and effectively neutralized the 100,000 strong Japanese stronghold of Rabaul. Operation Cartwheel is an example of a carefully planned and brilliantly executed military operation that met its objective handsomely. 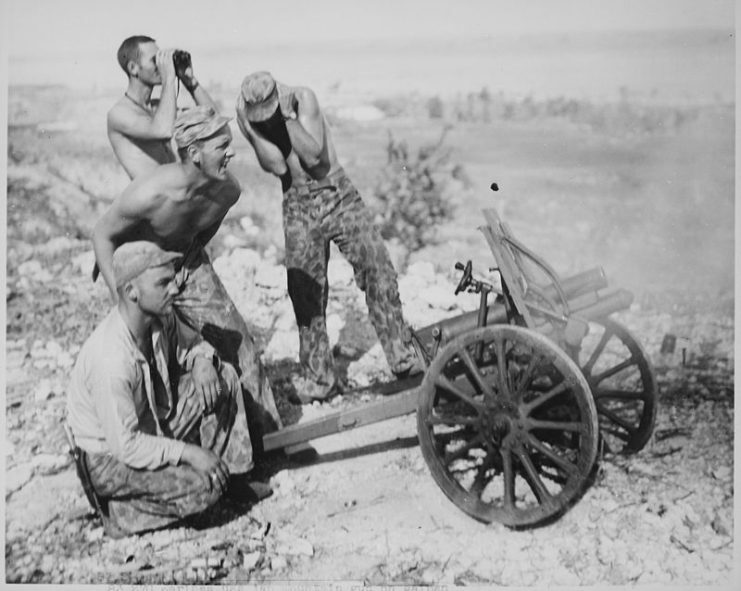 The island of Bougainville was taken by the American forces, but the Japanese garrison refused to surrender and held out till the end of the war, fighting against the Australians that were left to hold the island, post-December 1944. The recent history where China has established bases in the South China Sea has reminded America of the price that would have to be paid to neutralize island bases that have been designed to stop forces progressing across the world’s largest ocean. These artificial islands, sophisticated electronics, and land-based aircraft are used to control access from Southeast Asia to the Philippines, and access to the Western Pacific. 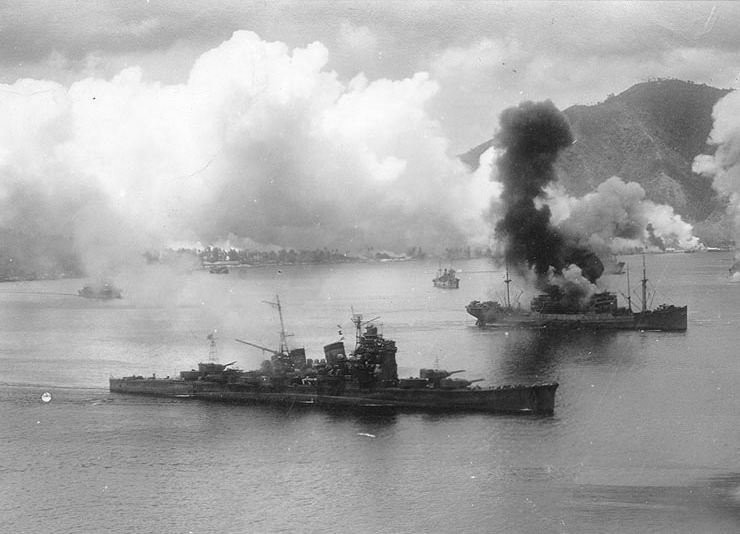 Japanese cruiser Haguro and cargo ships under attack at Rabaul. These bases are supplied from the south coast of China, and at this time it would be a conundrum as to how to navigate a vital maritime highway without Chinese permission. If war were to come, the US would be back in 1944, trying to isolate island bases while also defending their base on the Philippines. Once again, knowledge gained from history is essential when planning for the future.